The pros and cons of opting out of Medicare, from the physician's perspective. For Katherine A. Roberts, MD, FACE, ECNU, of Williamsburg Endocrinology Inc in Williamsburg, Virginia, the success of her practice depends on delivering the highest possible quality of care to her patients. So when accepting Medicare patients threatened to compromise that principle by increasing her caseload and paperwork, and decreasing her time with patients and the payments received for services, she opted out of the program. After 6 years of being out of Medicare, Dr Roberts recently opted back in when the financial stability of her practice came into question. In an interview with Endocrinology Advisor, Dr Roberts explained the multifaceted decision of opting back in and the important lessons she has learned during her time in and out of the program. After you opted out of Medicare, how did that decision impact your day-to-day practice? Dr Roberts: In addition to my caseload decreasing, the number of procedures I performed took a dive. My patients decided that if they were going to have a biopsy, they were going to have it done at a hospital that accepted their insurance, and then they’d see me for the results. For an endocrinologist, our highest net business is our procedures. We don’t get paid for thinking. We get paid for doing ultrasounds and continuous glucose monitoring, and sticking needles into people. 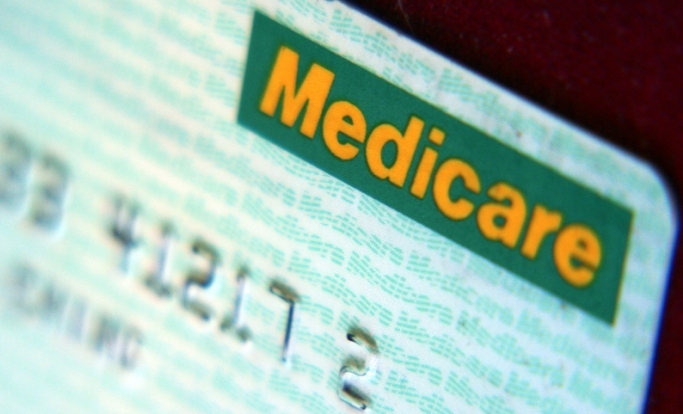 Case and procedure volume aside, how was the experience of being out of Medicare? Dr Roberts: It was absolutely lovely. The patients walked in and whipped out their checkbook. My accounts receivable was very small. Now I wait a month to get paid from Medicare and another month or 2 to get paid from the secondary insurance. I also could spend a lot of time working with patients, and if they wanted more services, I could tell them what my fee was. You can’t do that with Medicare. What was the chief lesson you learned after you opted out? Dr Roberts: Location is very important. I have some good friends who live in big cities and do a lot of business on a cash basis, because those cities are so expensive and people have more disposable income. These individuals don’t think anything of walking in and writing a $250 to $300 check, but people in Small Town, USA, do. In today’s health care climate, how feasible is it for a physician to not participate in Medicare? Dr Roberts: If you are in a very large city, it’s feasible. Working in a small city like Williamsburg, I was unable to stay opted out of Medicare. The problem was my patients were not willing to pay for procedures out of pocket when insurance would pay for them. In addition, because of Obamacare and the huge deductibles, people are no longer able to see their physician in a timely fashion. They would stretch out their appointments, whereas payment from my Medicare patients stayed pretty level. However, nobody else was coming to the doctor. So being out of Medicare was one thing, but being out when my privately insured patients couldn’t pay their deductibles was another problem altogether. Medicare may pay less and take longer to pay, but at least you get paid, which is why I opted back in this summer. How has accepting Medicare patients impacted the quality of your practice? Dr Roberts: I have to see a lot more people, and Medicare patients take a lot longer because they’re sicker. I have to spend more time and get less reimbursement for it. My days are longer, and I’m making less money, but at least I’m getting paid. However, now that I’m back in Medicare, I don’t know that my practice model is viable because I only believe in good health care. I don’t believe in seeing somebody for 5 minutes. So for those of us who believe in our profession and who really take care of our patients, we are between a rock and a hard place. Have you taken any measures to improve the viability of your practice now that you have opted back into Medicare? Dr Roberts: I’m currently in the process of getting a nurse practitioner so I can spread some of my fixed costs around and see more people. But a lot of things need to change to have good health care. For example, the cost of drugs has gone through the roof, and while people will buy their drugs, they won’t see their doctors. After all, if you have $500 and your insulin costs $300 a month, are you going to see your doctor or are you just going to buy your insulin? Although each physician has to decide for him- or herself whether or not to opt out of Medicare, some may be better suited to do it than others. In your opinion, who should and who should not participate in the program? Dr Roberts: I think opting out of Medicare would be wonderful for physicians who are at the twilight of their careers. On the other hand, it’s hard for a specialist to opt out because people expect their medical bills to be paid for. I tried it, and it was good for a couple of years when everything was halfway stable, but when Obamacare hit, it was just a nightmare. And I’m still living that nightmare. I’m hoping next year will be better. What recommendations do you have for physicians considering opting out of Medicare? Dr Roberts: Don’t do it until we know what’s coming up with the new administration, because right now we have no idea what is going to happen and once you opt out, you are stuck for 2 years. Also, it doesn’t help to talk to your patients about it because they are not going to tell you the truth as to whether they will pay out of pocket. Half of them told me they would, only to later not pay. When it comes down to it, people are just not thrilled about spending money when they are already paying for insurance.